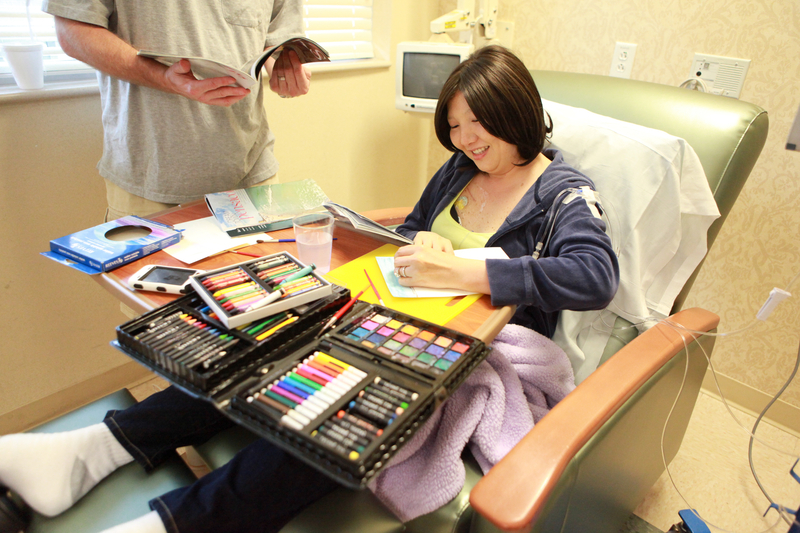 The Creative Center’s Artist In Residence program at MD Anderson Cancer Center Orlando provides opportunities for patients to learn about and become absorbed in their own creative resources as they meet the challenges of diagnosis, treatment and survivorship. This community collaboration employs three artists and incorporates a range of media, including painting, writing, mixed media and photography. Image submitted and used by permission of United Arts of Central Florida. Photo by Kellie Warren-Underwood. The Artist In Residence Program is a partnership of United Arts of Central Florida, Baker Barrios Architects and MD Anderson Cancer Center Orlando. “Innovative programs and partnerships have always been a part of the Baker Barrios philosophy. As cancer has been a battle for many of our employees and friends of the firm, we take great pride in supporting the creative process as a survivorship tool for people in treatment,” Shanon Larimer, Vice President of Global Marketing for Baker Barrios Architects, said regarding Baker Barrios’ role in the program. United Arts of Central Florida secured a one-year grant from LIVESTRONG® Community Impact Project in 2011 to pilot the program. The Creative Center’s Artist In Residence program has worked bedside and in small group settings with men, women and children in oncology units, bone marrow transplant units, intensive care/respiratory units, hospice and palliative care programs. “It’s wonderful to see the community support for a program that is making such a difference for our patients who are facing the biggest challenge of their lives,” added Dr. Clarence Brown, III, President and CEO of MD Anderson Cancer Center Orlando. About United Arts of Central Florida: United Arts of Central Florida is a dynamic collaboration of 164 businesses, 8 governments and school districts, 38 foundations, more than 50 arts and cultural organizations, and 3,188 artists and individuals. This partnership works to enhance the quality and variety of cultural experiences available throughout Lake, Orange, Osceola and Seminole counties. Since its inception in 1989, United Arts has invested more than $117 million in local cultural organizations and cultural education. United Arts envisions a diverse, well-attended, fiscally sound arts and cultural community that serves residents and visitors to the Central Florida region. For more information, visit the United Arts of Central Florida website. This entry was posted in Spotlight On and tagged Arts in Healthcare, Baker Barrios Architects, culture builds florida, florida division of cultural affairs, LIVESTRONG, MD Anderson Cancer Center Orlando, The Arts Matter, United Arts of Central Florida by culturebuildsflorida. Bookmark the permalink.